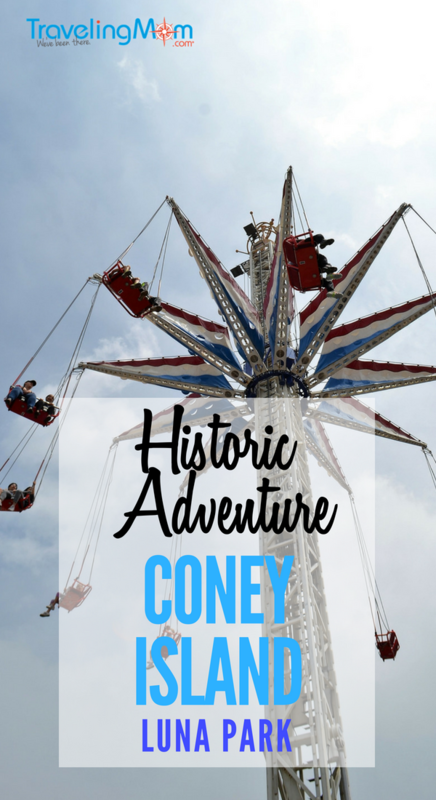 Gringa TravelingMom takes her sons to historic Coney Island in Brooklyn, New York. This is the place for iconic beaches and nostalgic boardwalks, the home of the world’s first hot dogs and the thrilling Luna Park amusement park. This is a tale of all of the fun that her family had detailed with historic fun facts. 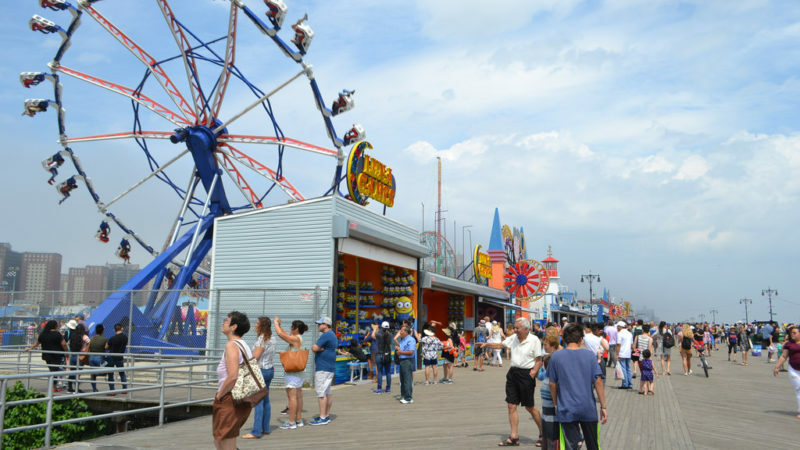 What is the quintessential beach boardwalk amusement park? If you don’t know the answer, how about where is the most famous hot dog from? The boardwalk, technically known as Riegelmann Boardwalk, opened on May 15, 1923. Home of one of the oldest and most famous amusement parks, it has now been replaced by an equally popular and thrilling park called Luna Park. Luna Park Coney Island is also where the original, much updated, Coney Island Cyclone roller coaster still stands. 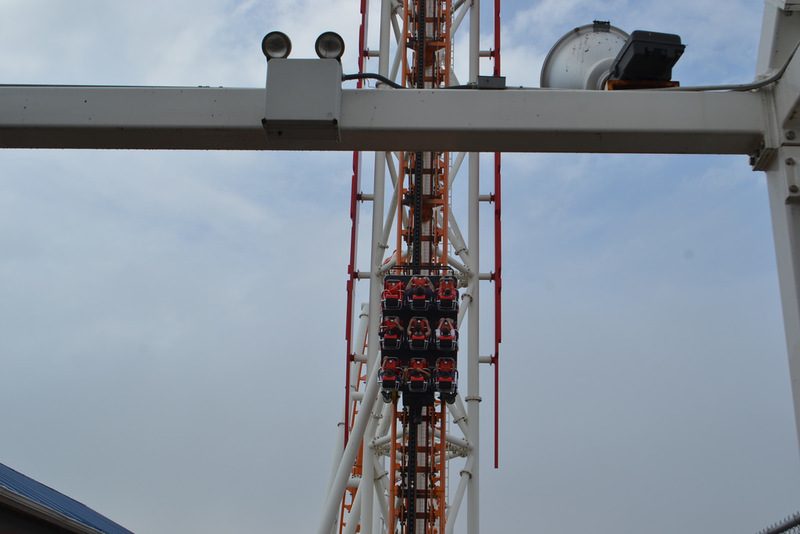 It will take you for an insane spin. 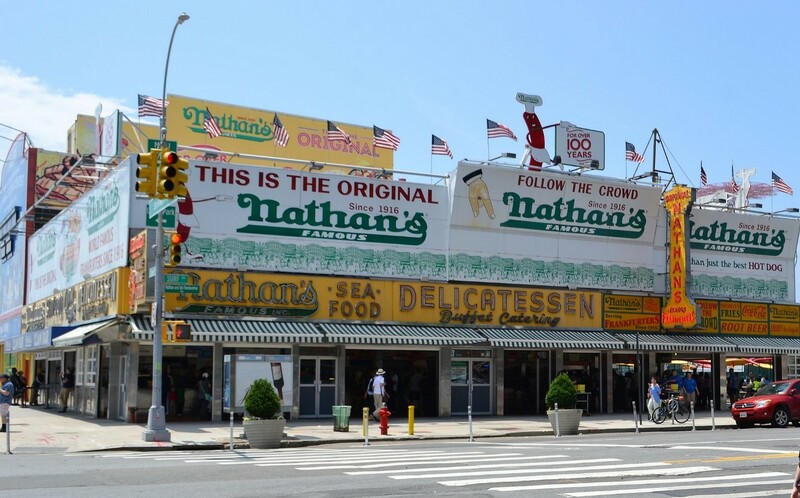 Coney Island is also home to the original hot dog. Charles Feltman, who worked as a pie salesman to hotels, was constantly being asked by his clients for sandwiches. So, he put a small charcoal stove on his cart and started to boil single pork sausages and put them between a roll of bread. This is how hot dogs were born. In 1916, an employee of Feltman named Nathan Handwerker decided to go into business on his own selling these sausages on buns. Now we know it as Nathan’s Famous Hotdogs. This is a must try dish while in Coney Island. Coney Island is one of the few spots in Brooklyn that, as of May 15, 2018 on the 95th anniversary of the boardwalk’s opening, the Landmarks Preservation Commission designated the Riegelmann Boardwalk a city landmark. I remember my parents taking me to visit Coney Island when I was seven years old. I recall going on all the kiddie rides, desperate to try out their roller coasters. Almost 40 years later, I decided to give my sons a bit of US history the fun way. Luna Park here we come. Today there are tons of great rides and several head-spinning, over-the-top thrill rides (at least for me). Living in Guatemala, my kids have been to amusement parks, but the difference of a unique USA beach boardwalk park with all the US yummy fried foods and hot dogs is definitely something that everyone needs to enjoy – at least once. My sons are at a perfect age where, at 8 and 14, they can enjoy most of the rides. My 14-year-old was ready for all the roller coasters, while my 8-year-old had a blast with most of the other rides. We arrived at the park around 11 a.m. and it was practically empty. I mean, no lines, and pure enjoyment. Around 2 or 3 p.m. the crowds with the kids started to come. By then we had pretty much finished all the rides and were enjoying a midday snack of funnel cake and hot dogs. We were planning to go again, since we had the bracelet with unlimited rides, but the lines started to get long and with the heat of the summer, we decided to enjoy the boardwalk. 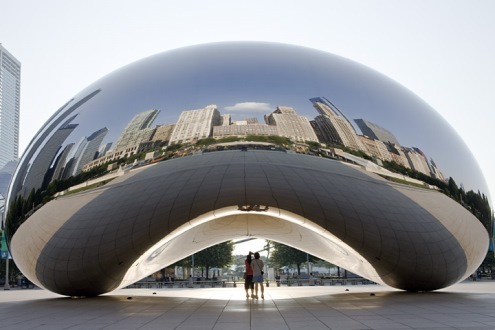 TravelingMom Tip: get there as early as possible to enjoy the calmness and no lines. Another interesting thing I noticed is that there are many rides for all ages. I normally don’t pay any attention to these days since my kids are old enough to do most of the fun rides. But when my sons were tiny, from 2 to 5 years old, I found that most amusement parks don’t have enough rides for the younger age group. The way Luna Park is set up is that it takes up several blocks of Coney Island, and there is one huge block designated for this age group only. You can do the entire park, with little lines, in about three hours. So, if you want to make a day of it, get the bracelet, enjoy the rides. Get hot dogs, funnel cakes and other yummy stuff to eat. Enjoy the ocean and come back for more rides in the afternoon. The first Rollercoaster of Coney Island opened in 1884. Steeplechase Park opened in 1897. This was the first of the three original iconic large parks built on Coney Island featuring the Steeplechase ride where riders straddled horse-shaped single cars and launch simultaneously, as from a horse-race starting line. Luna Park opened in 1903. Original Thunderbolt coaster opened in 1925; it ran until 1982 and remained standing until it was demolished in 2000. The success of 1925 Thunderbolt inspired the investment in similar rides. The Cyclone opened on June 26, 1927. Luna Park opened again on May 29, 2010. 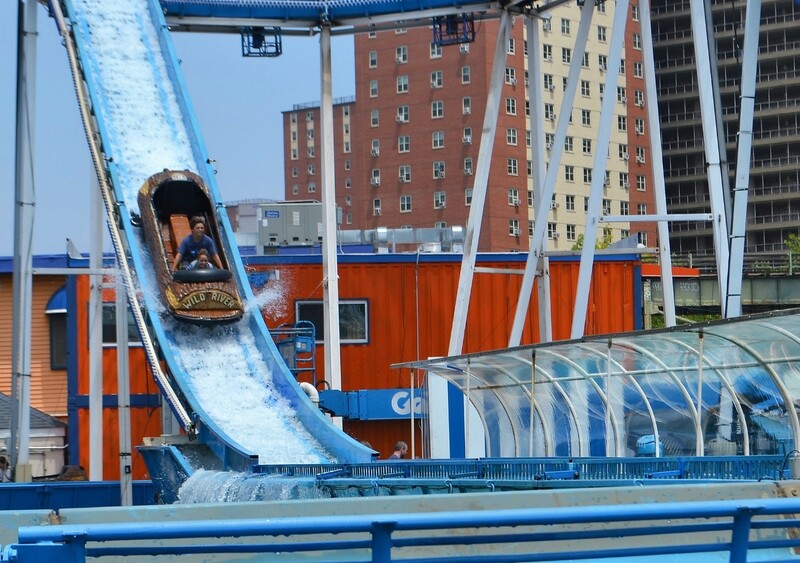 This was the first new amusement park in Coney Island in over 40 years. The summer of 2014 marked the return of the Thunderbolt roller coaster.